Backups are a great way to guarantee not losing precious files and programs if the computer crashes unexpectedly. With a backup, those files and programs are saved to another source. If the computer crashes, those files can be restored, and are not lost forever. Windows 7 makes it simple to backup all those files, and to set up automated backups. 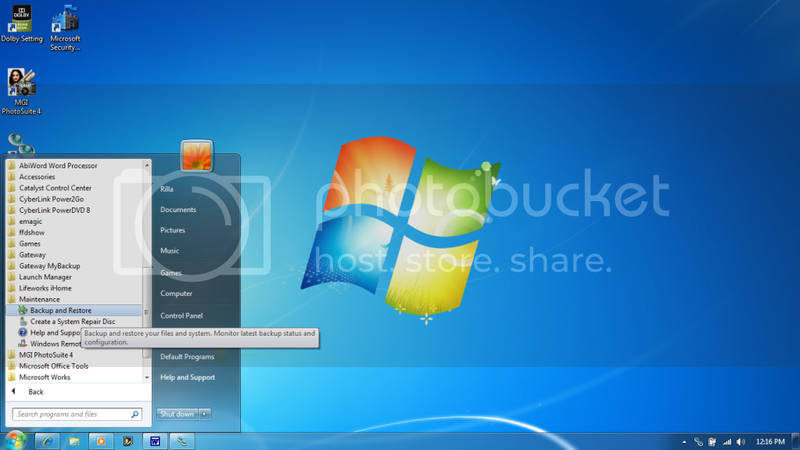 With scheduled backups, Windows 7 will automatically backup all the chosen files at a specific time. 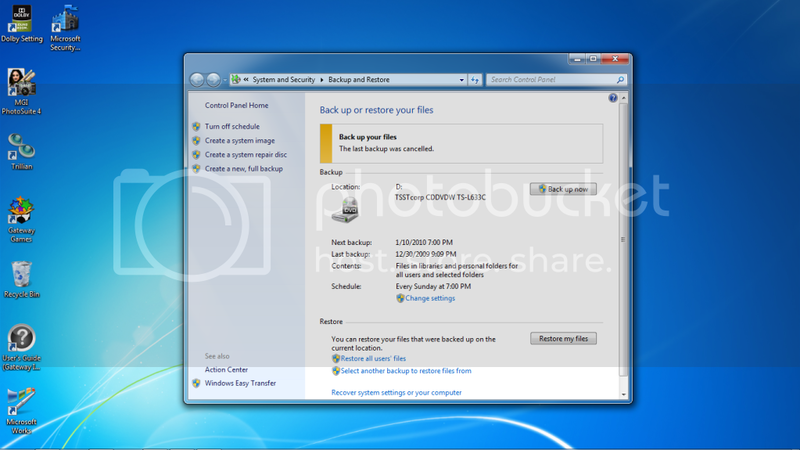 How to set up and schedule backups on Windows 7 is an easy step-by-step process. Click on Start, which is the window symbol in the lower left hand corner of the desktop. Hover over, or click, on All Programs and then scroll down to Maintenance. Under the Maintenance folder is Backup and Restore. Click on that to bring up the Windows 7 Backup and Restore program. The Backup and Restore page lists where the files are being saved during backup, and how much space is left. It also lists when the backups are set to happen automatically and how often. Finally, the page shows what files are being saved during backup. All of this information needs to be set first before beginning the first backup. From the first page of Backup and Restore, click on Change Settings. The button is found near the middle of the page, underneath the Schedule information. Change settings is used to decide what specifically will be saved during the backup, where it will be saved, and when and how often. This is done step-by-step, and is very simple to follow. There are a number of options available for where to save the backup. 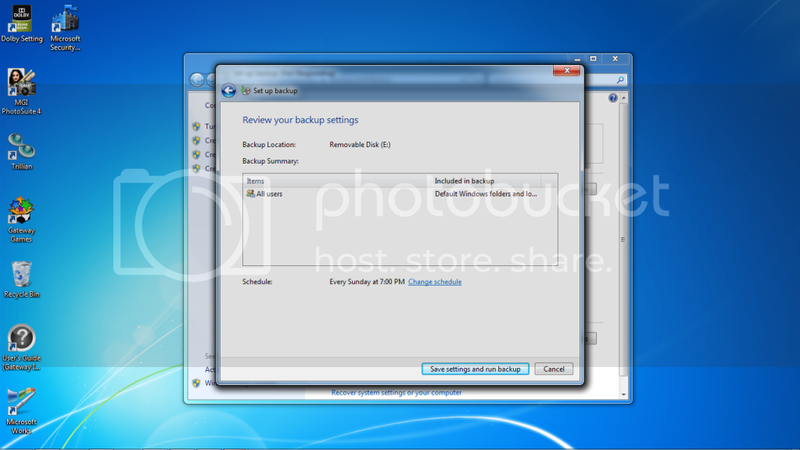 The Windows 7 Backup and Restore recommends using an external flash drive for this. External flash drives have abundant space and are safe if the computer crashes. Do not save the backup to the hard drive because it defeats the purpose of the backup if the computer crashes. Using DVDs is an option, but they tend to run out of space, and get scratched or lost. A flash drive is inserted in a USB port and can be used for each subsequent scheduled backup. Make sure the flash drive is inserted in the USB port before beginning the backup, so that the computer reads it and knows it is there. All of these options are listed on the page. Simply click on the desired choice. Then click Next. One is to let Windows 7 decide what files to backup. This choice automatically chooses all libraries, files on the desktop, and default Windows folders. The libraries include documents, music, photos, and videos. This is the simple choice, and guarantees that the most important files will be included in the backup. Option two lets you choose which specific files to backup. This how-to will continue with this choice. If choosing option one, to let Windows decide, then skip ahead to step 7. Make the choice and click Next. Here is a list of the files and programs on the computer. Click on the tabs to make them expand. Simply click on the little box to check which files and/or programs to save during backup. When everything that you want saved is checked, click Next. This page is a review of all that has been done so far. It lists where the backup is being saved to, and what exactly is being saved during backup. At the bottom, there is the scheduled date and time for the automated backups. If the backups are not scheduled to start automatically, they need to be set now. Also, choosing when and how often to perform backups can be done now, too. First thing, makes sure the box that says Run backup on a schedule is checked. Then, by clicking on the drop-down lists, choose how often to perform backups, what day of the week, and at what time of the day. Make sure to choose a day and time that is most convenient. After clicking OK, you are returned to the Review Choices page of Windows 7 Backup and Restore. Make sure that everything is as it should be, then click Save settings and run backup. The computer will go through the backup process and may take several minutes depending on how much is being saved. For now on, backups will start automatically on the date and time chosen, and will backup all new files and programs since the last backup. At any time, the settings can be changed by going to Windows 7 Backup and Restore and repeating the steps again.